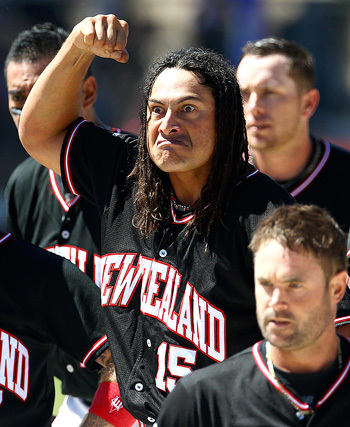 Since European sports were introduced to New Zealand in the 19th century Māori have taken them up with enthusiasm. Some, such as rugby and netball, have proved more popular with Māori than others. Many of New Zealand’s sporting greats have been Māori, including rugby player George Nēpia and, more recently, squash player Leilani Rorani. Europeans brought new sports to New Zealand in the early 19th century. Some became more popular with Māori than others. While there were early reports of Māori playing cricket, it never gained much popularity with Māori. In 1883 Māori boxer Herbert Slade fought the American heavyweight champion in New York. He lost, but became a celebrity. In 1888–89 the Native rugby team toured Australia and Britain, becoming the first New Zealand team to tour further than Australia. In the early 20th century some Māori formed their own teams. Māori sporting associations were founded for golf and tennis, both of which were sports popular with Māori. The first official national Māori rugby team was selected in 1910. In the 1920s George Nēpia played for the All Blacks. Like many Māori players, Nēpia converted to rugby league, a game which has also been popular with Māori. The tradition of Māori success in golf continued into the 21st century with golfers such as Phil Tataurangi and Michael Campbell. In 1990 Adam Parore became the first Māori man to represent New Zealand in a cricket test match. Maia Lewis captained the White Ferns women’s cricket team in the 1990s and 2000s. Important Māori tennis players have included Ruia Morrison and Kelly Evernden. The Aotearoa Māori Tennis Association holds an annual championship. Successful Māori netballers have included Margaret Matangi, Margaret Forsyth and Waimarama Taumaunu. The best-known Māori football player was Wynton Rufer, who played for New Zealand in the 1982 FIFA World Cup, and then played professionally in Europe. Basketball is popular among Māori partly due to the influence of the Church of Jesus Christ of Latter-day Saints (Mormon church). Well-known Māori squash players include Leilani Rorani (née Joyce), who is a former world number one and winner of the British Open in 1999 and 2000. The All Blacks have continued to have many Māori players. The highly successful Black Ferns (national women’s rugby team) have had a high proportion of Māori players, and were captained to their first three world cup victories by Farah Palmer. Some sports are more popular with Māori than with other New Zealanders. A 2007/8 survey showed that sports in which Māori competed in disproportionate numbers included netball, touch rugby and basketball for women, and touch rugby, waka ama, rugby union and rugby league for men.